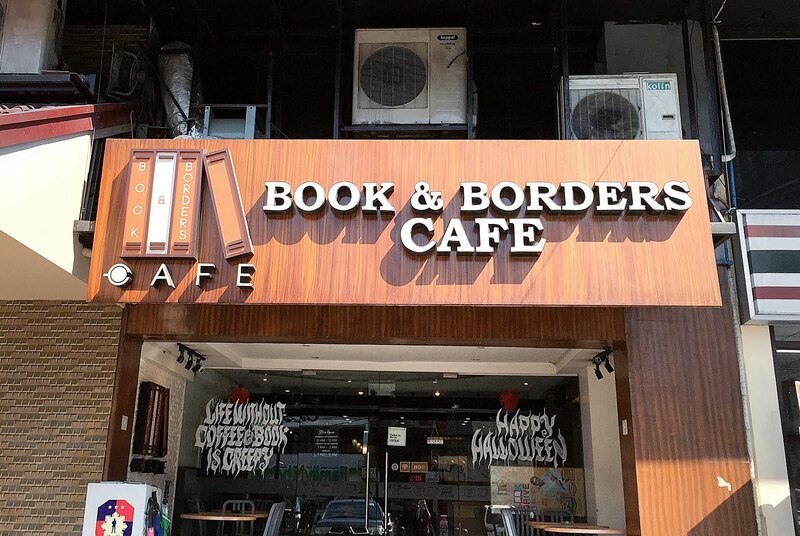 A meet-up trip from the south to Quezon City early in the morning got us to Book and Borders Cafe. I had no idea where to eat since I live in the south, and so does Patrick. Though, he did a bit of research the day before and checked places we can eat at around Tomas Morato. He actually forgot the list though... but anyway we ended up on one of the place he remembers. Here we are in Books and Borders Cafe for some good ol' breakfast. 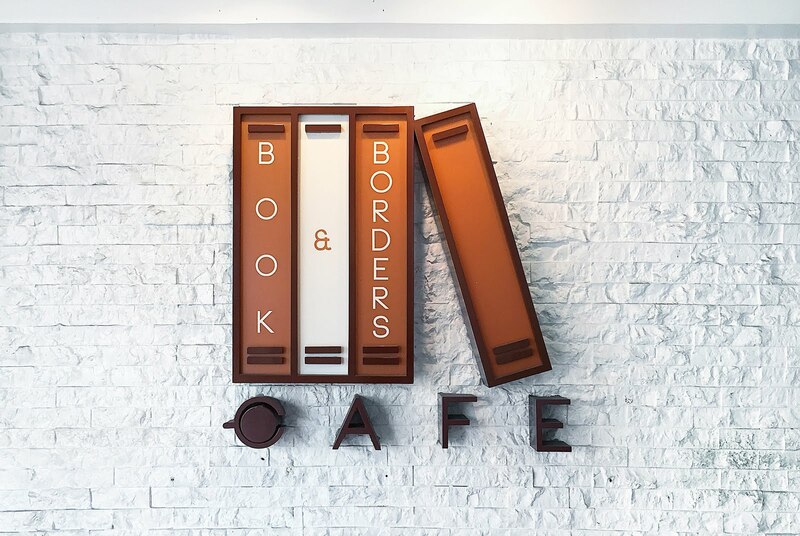 Books & Borders Cafe is a hangout place where you can drink your coffee or grab a meal and read a book while your at it. 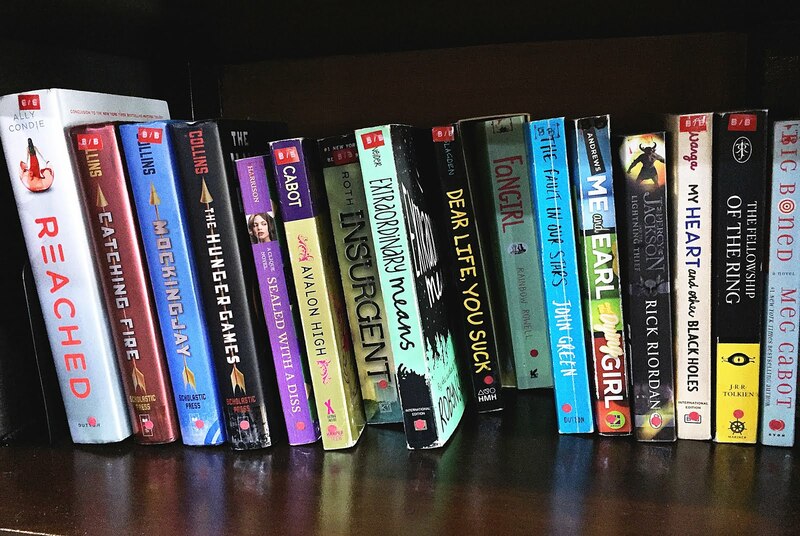 They offer a variety of books such as Best Selling Novels and even Children's Books. 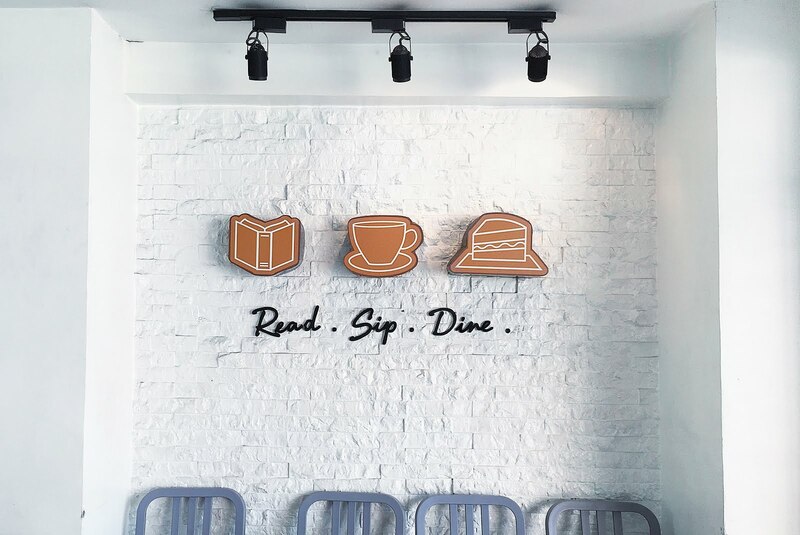 It's like Powerbooks & Starbucks in one.. plus Buffalo Wings. Hahaha. 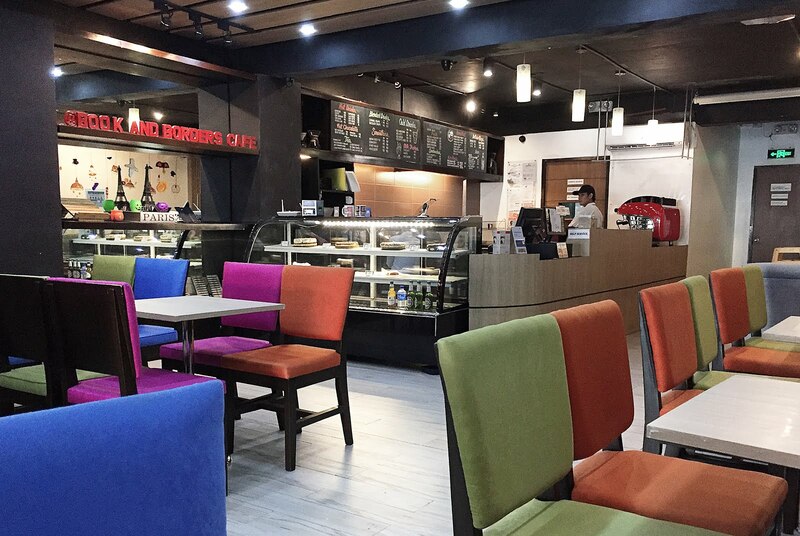 On the Book and Borders menu, you can choose from a range of sandwiches, rice meals, pasta, salad, etc. For the drinks they serve a selection of hot/cold drinks, tea & smoothies. 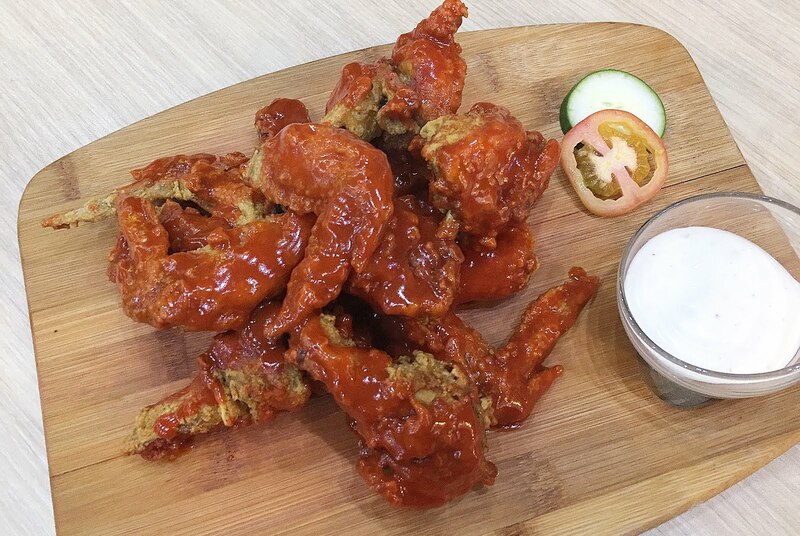 Buffalo wings for breakfast because why not? Lol. 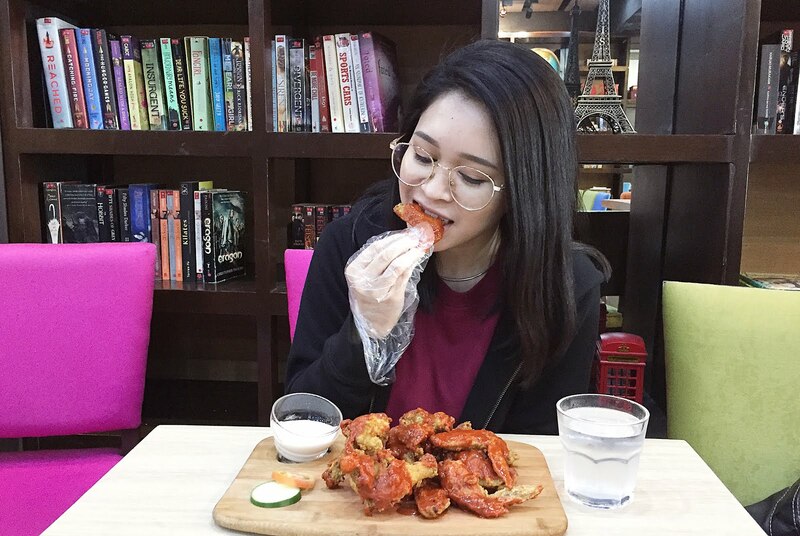 This is life when your with someone who loves buffalo wings, you order buffalo wings early in the morning. The wings were nearly perfect for my taste, the chicken's skin is crispy and the sauce was savory.... but it was freaking spicy. Lol. It's the only thing we ordered. Sadly I can't review their drinks coz I skipped it and got water instead. But based on the buffalo wings I expect (and hope) most of the food/drinks they serve will absolutely be yummy and tasty. 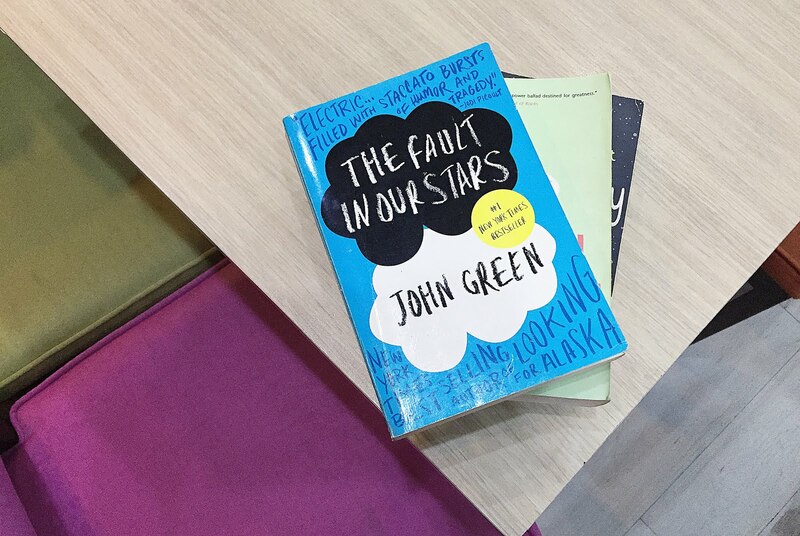 If you want to grab coffee and read a book for free at the same time feel free to check out Books & Borders Cafe. The place is also great for gatherings and meetings.